Fayetteville's City Council adopted the 2009 IECC for residential structures in September, 2012. The scope of the IECC includes residential single-family housing and multifamily housing three stories or less above grade. All new residential construction are required to have a home energy rating (HERS Rating) completed by an independent RESNET certified home energy rater prior to the issuance of a Certificate of Occupancy. 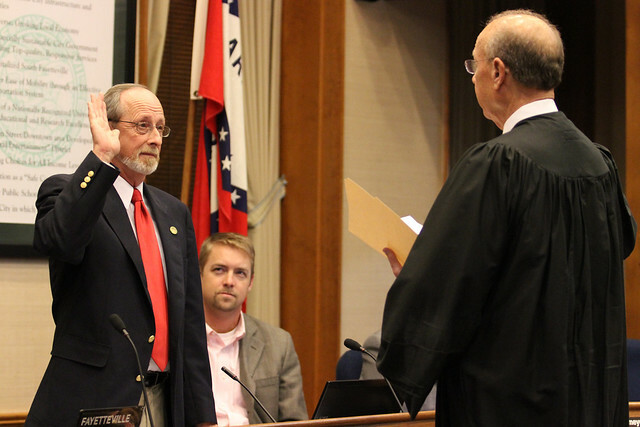 Mayor Lioneld Jordan and Alderman Matthew Petty were key players in strengthening the commercial and residential building code standards with a specific focus on energy efficiency and indoor air quality for Fayetteville. A HERS Rating for the Fayetteville Energy Code Compliance typically includes all energy consulting services, plan review, software modeling, interim inspections and final testing and reports. The cost of an Energy Rating for code compliance starts at $695. Less for production builders with repeat floor plans. First time to get rated? We want your business. Let us know and save $100!